It Works For Hair Growth Incredibly Well For Both Men And Women. It Is Far More Effective Than Expensive Shampoo And Conditioners. 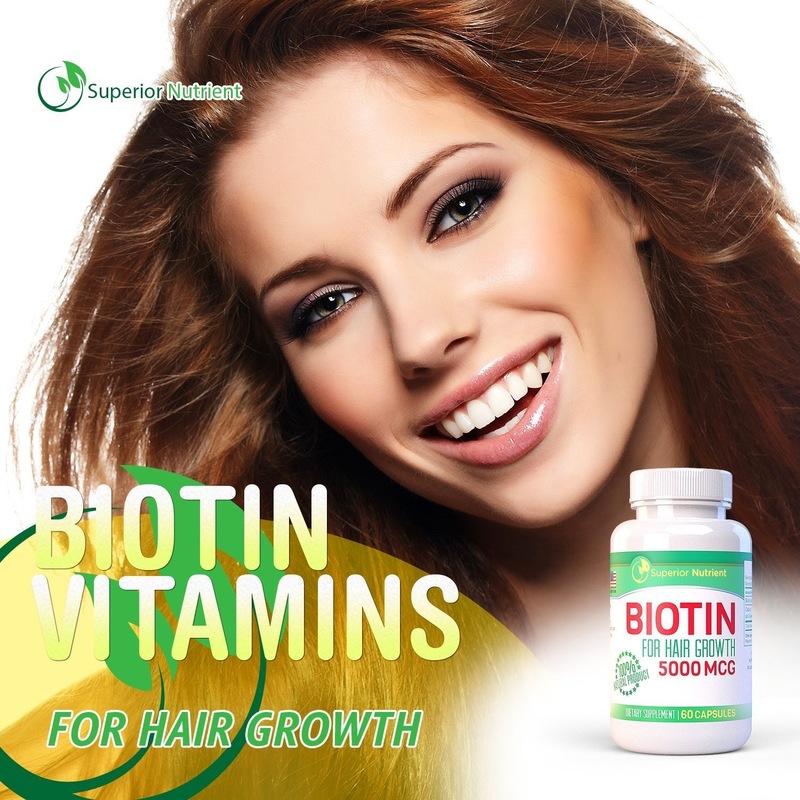 These Soft Gel Biotin Vitamins For Hair Growth Capsules Are Super Easy To Swallow. They Are Pure 100% Safe And Natural, No Fillers Or Artificial Ingredients. 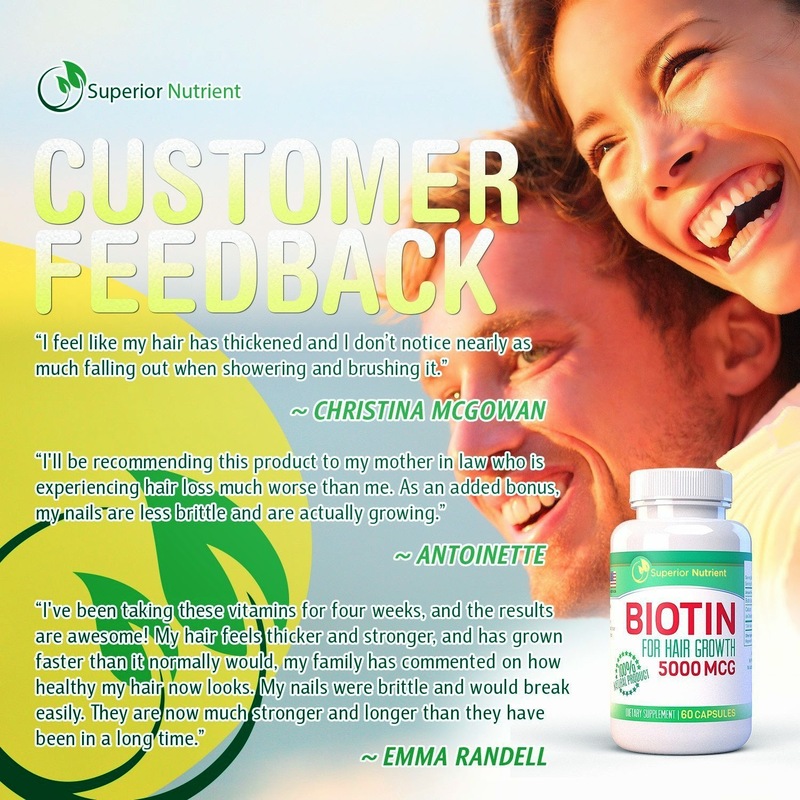 We Are So Confident In Our Biotin Vitamins That We Offer A Free 100% Lifetime Money Back Guarantee, No Questions Asked! 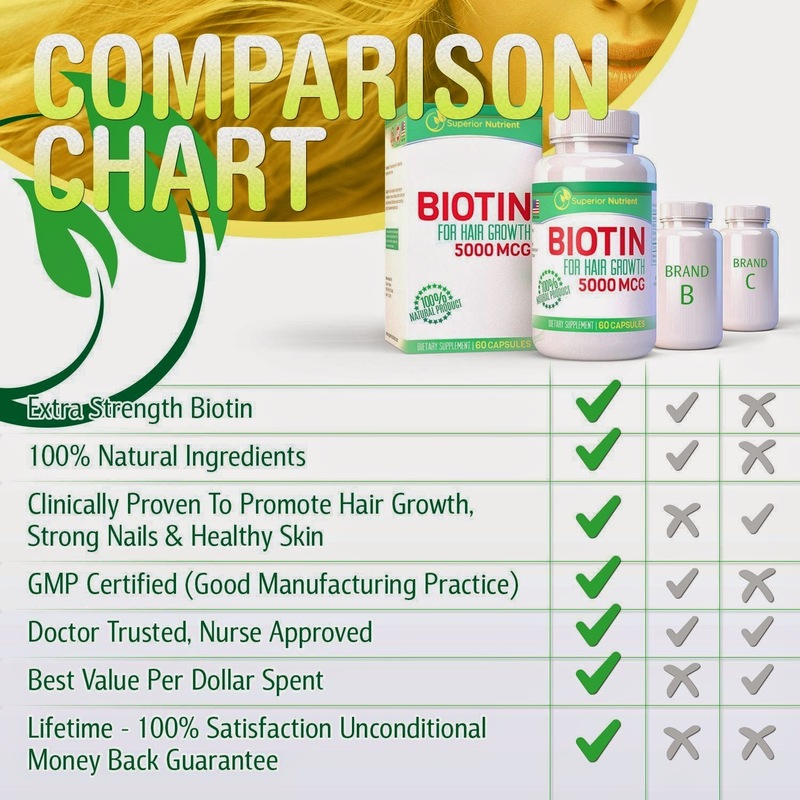 Biotin For Hair Growth Not Only Looks After Your Hair, It Also Has An Additional Bonus Which Promotes Strong Nails And Healthy Skin. 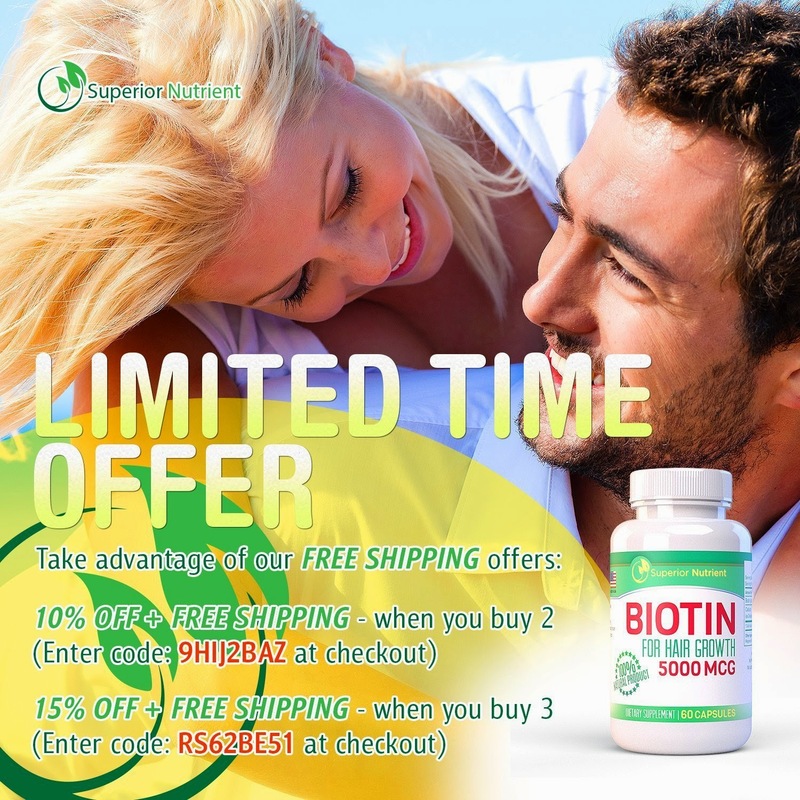 This Biotin Is Highly Recommended By Doctors For Combating These Issues. Best Results In As Little As Two To Three Months. 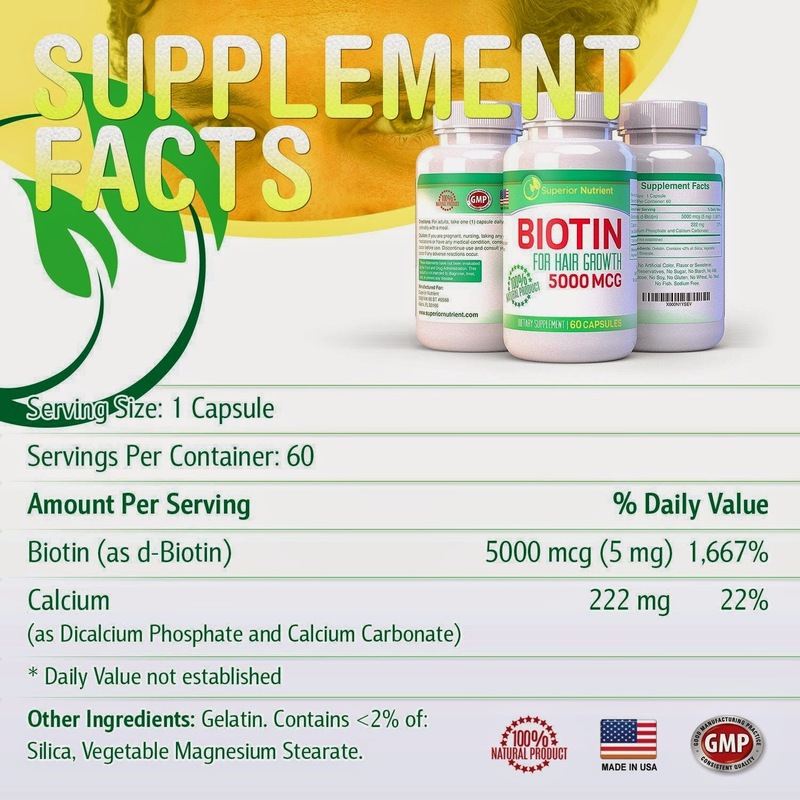 We Are Very Proud That Our Biotin Is Made In The USA. All Our Products Are Manufactured In Accordance With The Good Manufacturing Practices (GMP). 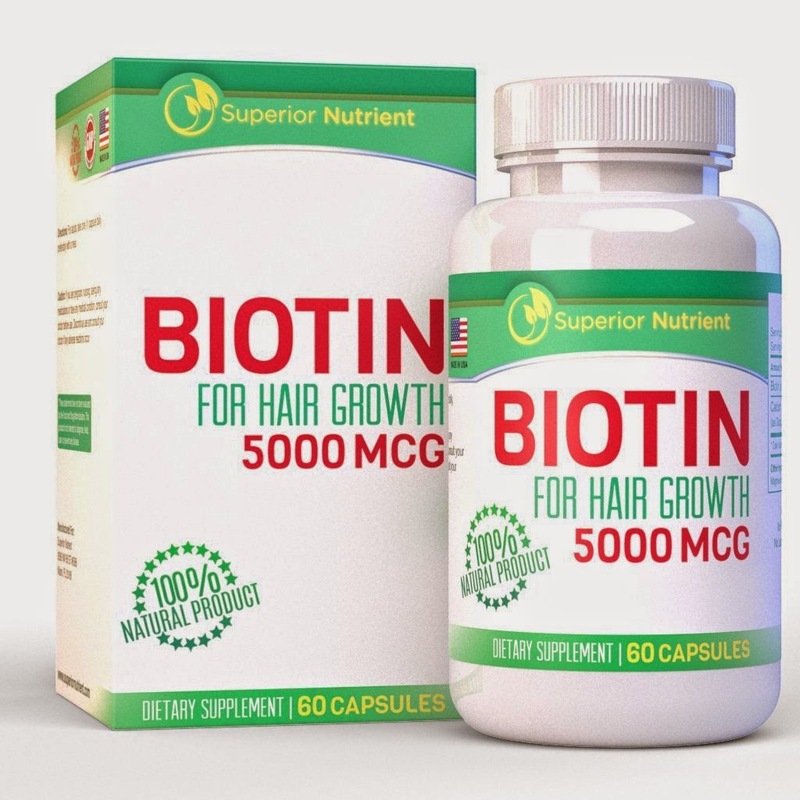 Best Biotin For Hair Growth 5000 Mcg. 60 Count. These Are Fantastic Hair Vitamins For Thinning Hair That Breaks Easily, This Extra Strength Treatment Helps To Stop Hair Loss. It Strengthens The Hair Follicles, Giving A Healthy Shine To Your Hair And In Turn Promotes A Faster Hair Growth Rate. You Will Soon Begin To Feel Confident Again About Your Hair And People Will Comment On How Healthy It Looks. 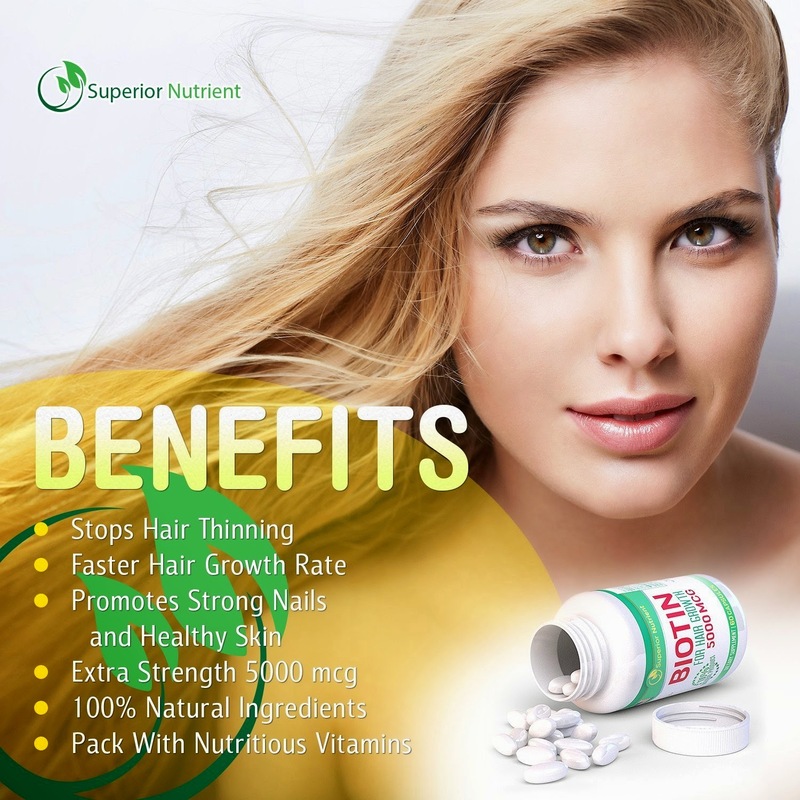 You Will Have Successfully Uncovered The Secret Of Hair Growth Vitamins. The Bonus Is You Only Need To Take One Capsule A Day! Depending on your circumstances best results are achieved by taking only one capsule per day consistently for two/three months. However some customers have reported they are taking one capsule in the morning and one in the evening with great results! I have thin fine blonde hair, I always have, but as I get older it seems to get thinner and finer. 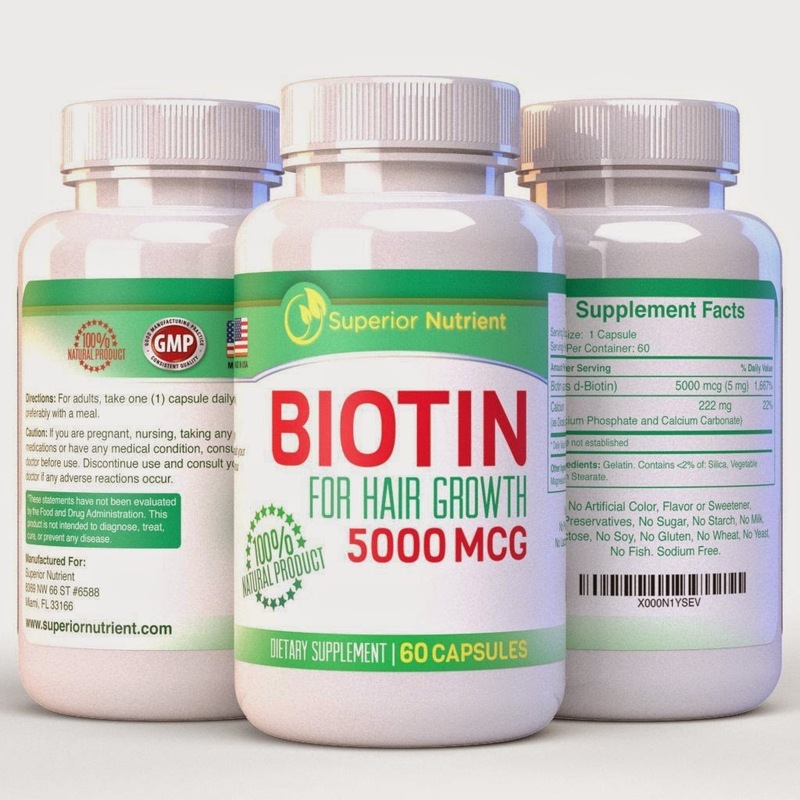 I have taken other supplements with only minimal results so I thought I would give Superior Nutrient Biotin for Hair Growth a try. I like that it is Vitamin B complex so I don't have to take other vitamins with it. I also like that it is beneficial for my nails and skin as well. I have had no negative side effects. After a few weeks I could see "baby" hairs starting to fill in. 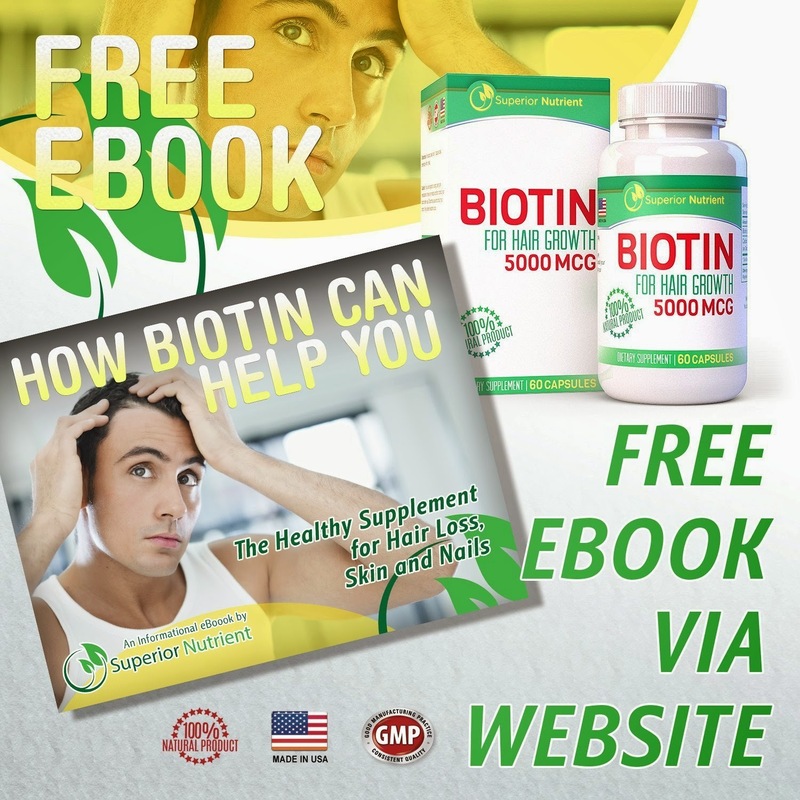 I will continue to use the Superior Nutrient Biotin for Hair Growth to see if I can get more hair to fill in the thin spots. I received this product in exchange for a review. I was not compensated for my review and all my opinions are my own, based on my personal experience with the product. I am disclosing this in accordance with the Federal Trade Commission’s 16 CFR, Part 255: Guides Concerning the Use of Endorsements and Testimonials in Advertising. I would love to try these out. I think they would do wonders for my hair.